Simple wood frame with veneer mirror will jazz up any bathroom with its unique ebony zebra finish. It is simple yet with style. 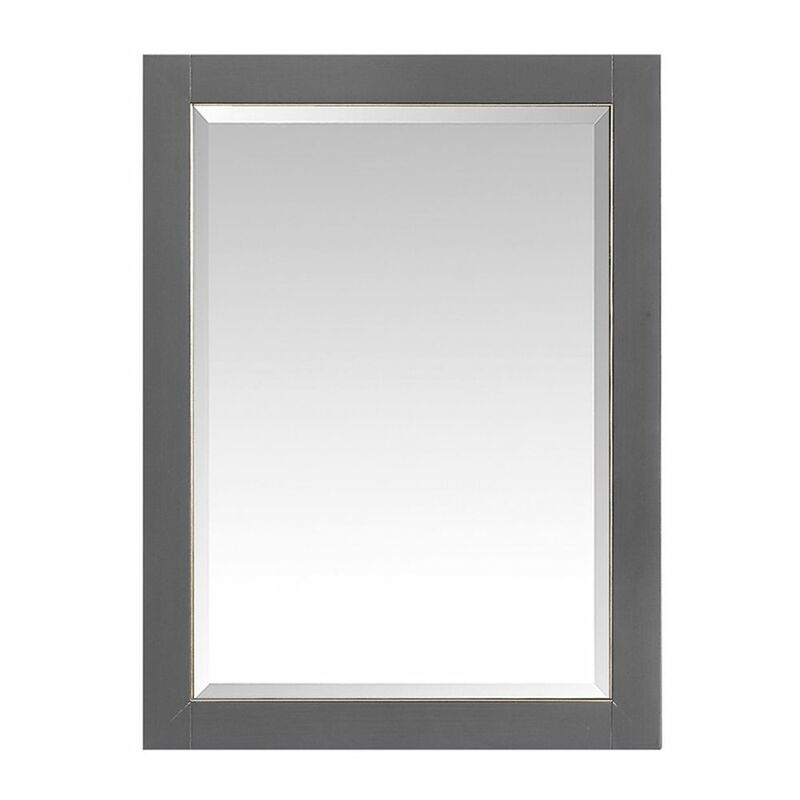 The mirror itself is a high quality 0.6" thick mirror prevent rusting against bathroom. It is properly sealed to prevent water damage or bathroom humidity. Wood + veneer * Ebony/Zebra * NA * Mounting hardware included * Faucet and mirror not included Faucet and mirror not included. Professional installation recommended. 22 inch Mirror Cabinet for Allie / Austen in Twilight Gray w/ Gold Trim This 22 inch mirror cabinet features a minimalist design that pops with colour thanks to the refined Twilight Gray finish with brushed gold trim. It features a solid wood birch frame and wall cleat for easy hanging. The mirror cabinet is a perfect companion to the Allie / Austen vanities.